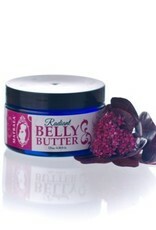 This rich, luxurious belly butter for pregnancy keeps skin soft and smooth as the baby grows. 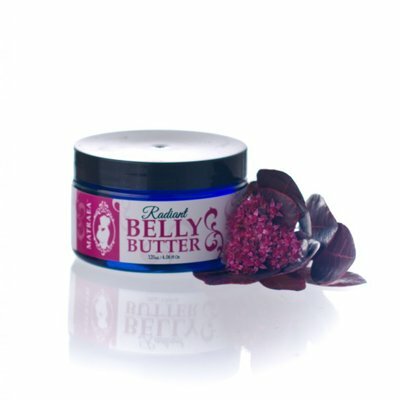 Certified Organic Ingredients: Shea Butter, Aloe Vera Juice, Grapeseed Oil, Canola Oil, Virgin Coconut Oil, Cocoa Butter, Honey, Vegetable Glycerin, Manuka Honey. Natural Ingredients: Distilled water, Grapefruit Essential Oil, Rice Bran Oil, Palm Stearic Acid, Xanthan Gum, Rose Geranium Essential Oil, Potassium Sorbate, Rosemary Leaf Extract, Citric Acid, and Litsea Cubeba Essential Oil.